On Nov. 24, 1997, Steve and Marlene Aisenberg reported their infant girl missing from her crib in their Brandon home. In the weeks following the disappearance, the couple began a high-profile journey through the national spotlight, looking for any help in finding young Sabrina. Their story has created a media circus around them, and stirred the suspicions of local authorities. Additional Information: She became missing from her residence sometime during the early morning hours of November 24, 1997. If you have any information on this case, please call the Hillsborough County Sheriff's Office at 1-813-247-8200 or Child Quest at 888-818-HOPE. I have been asked here on the blogger to look at Tarot for this little baby. There are many links on the internet just looking for her photograph of the situation and some appear to be very detailed. I will put a couple of links up that I have spotted there but I do prefer to look at the situation from basic detail and just the photo of the child. Tarot is past present and future and will naturally show or reflect some of the events gone by. However, Tarot gives glimpses in all these time epochs and hopefully will turn something out that might help. I cannot guarantee Tarot is 100 per cent. Nothing can be validated unless something shows up to support what Tarot has said. I do appreciate Tarot can reflect the past but that is a good thing as it shows it does understand what has occurred. It helps us put a little more faith that it has seen other things that are not know. To begin this reading Im looking at the picture of this little child and I have the nine of wands given to me. I look at the card and back at this child and I see fire,or heat /anger and aggression around her. It is the first thing that jumped into my head. I know nothing of this child I have read nothing of her background except what is on this page nor have I looked into the links except to say that I know she was 'taken from her crib'. Maybe she was, but where does the fire/aggression come in? I dont know exactly. What I see here is ill/faltering health in the 9 of wands. Not something I would dwell on and not to say it is directly on her but all the same it is there. Receiving this card first of all worries me. What I want to say is that this little girl could not defend herself. If for example she was in a cot with sides up I see those sides taken down and thats what I mean by having her protection removed. I dont see her protected in the least. There has been some kind of arguing between people but at what stage I cant be sure, it seems to me that she was argued over by others and it 'came to blows' by that I mean that it escalated. A baby cannot tell you very much but from my card here I see the 'home is upside down' and that means that things were not right at home perhaps she was taken from the home, it does seem to show me the home foundations are disturbed and that can show her outside of the home possibly or even trapped somewhere in or around it. First though I must consult other cards to get a better picture. There is a slight feeling of something not right or puzzling right now. Im seeing trash and rubbish for some reason, I dont know if thats a message to say, hey this story is absolutely nonsense or whether there really is some link to 'trash' or 'rubbish' here. I dont know if I feel 'she went anywhere either'. There might be something false about this story. My own feelings sometimes interfere when I hear of children being taken out of their cots, there have been a few cases recently where the same thing has been reported and I have never heard of this little girl before. Today changes that obviously because now I am looking into her eyes and thinking 'what can you tell me Sabrina'. I really feel like there are some TIGHT LIPS in this case because Im asking what happened to Sabrina and getting the kind of signal that some plans were not followed through. Maybe Im getting 'loose lips sink ships'? The Three of wands tells me that there are no opportunities and no decisions here and I know I need to look further to understand what the cards are arguing about with this child because there is something here that is bothering Tarot about this child. I seem to be getting 'not working - its not working' !! According to this card this little girl is 'South west' and there is a link to South West on the card above also. There is a building here as you can see in the picture and she is decidedly by the water but it seems linked to the roof. Now in the 9 of wands we have an attic or decking or some kind of 'wooden' or wood references - whether actual or in a name of a place that is what we have. This card seems to show that she is not far from either her home or a motel that is next to a big expanse of water. Im not sure if this is a 'past home'? The water is more like the ocean in this card as we have a feeling over looking over at ships and other areas below. Not far should be some kind of sports field or fields that might be playgrounds or tennis courts anywhere of that kind of nature - could be any type of sport - and just a car ride from the center of town . I feel it is linked to a property that was 'moved out of' I wish I could be a bit more explicit about that but I will always consider what I have written later and digest it and come back to write more if needs be. I have a mother very strongly in the first card - the moon is always the home/mother card in my book but it is also some kind of illusion, and Im not sure why there is an illusion placed on the mother of this child. Does the mother create an illusion about the child or is the mother herself an illusion, is she the childs mother at all? I see some odd strange deceptive influences on this card. I might also be seeing fences here , maybe fences that came down? Rose, Lily and Cross seem to come to me and the word Alexander or even Alexandria it may not be applicable but I see it so I will mention it. Not sure how it connects right now. Maybe names of a place or road or even person? This card is about decisions - someone here makes a decision about something but I dont know why that has anything to do with where this girl is unless someone made the decision to put her there. Sometimes 'ashes' can be seen in the wands cards - I do seem to have about 5 people here ? do they all have something to do with this child? This girl is connected 'up high' I just seem to see her 'on a hill' somewhere high looking down. Maybe high in a building? I think she is still in America as I am getting the word 'interstate' and that would make sense and being hot in climate. It realy could be that the fire in the card is suggesting stuffiness and being very hot or feeling heated. There is a house on the Hill - it might have a red roof that is where I see her. There might also be some agriculture features about maybe an expanse of land but I see her connected to a male and a female over 40 they might be fair haired. They know where she is because she was put in a car and taken on a trip. I think someone has moved house I see packing cases or luggage - all this information might be jumbled but I am giving what I am seeing. I do seem to see her near/next to a building and this is on the outskirts of the town and thus likely near the water? Unless there is water in the name of the place road or route which happens to be a TWO . There are strange things about looking for this child. There might be more then one and one could possibly be linked to fire? I also have a'phoenix rising from the ashes' so that is most peculiar. Phoenix is known 'to rise' what an odd thought. There is some kind of 'duality' here that I can see. I also have the word KING ? and the word RICH. I am still seeing some kind of 'sickness' here. When I ask when Sabrina might be found - Tarot tells me are you being childish? dont you think this is a case of deception and lies? thats rather shocking to be told that. This card is WEST - it is next to the water which I have already seen . If this child is in water she wont be found at all but Im not completely sure if that is what I am getting except to say that finding Sabrina is a 'wheres wally' situation. If anyone finds this girl its certain 'suicide' for someone who might be involved here. I am not going to push the button but I think I understand that bit at least. There is a feeling that the situation is being 'smothered' - there is also a situation that this girl is giving me the impression that people are going to throw up their arms when trying to find her and say, what can we do - we cant live without her but 'we cant live WITH HER' now who would say that? very odd if you ask me. So I do see a breakdown in the family circle with this child completely I really do. I dont know if finding her will be easy at all because there are family matters involved here and not sure if I want to get a spade out and start digging away at the core of things. 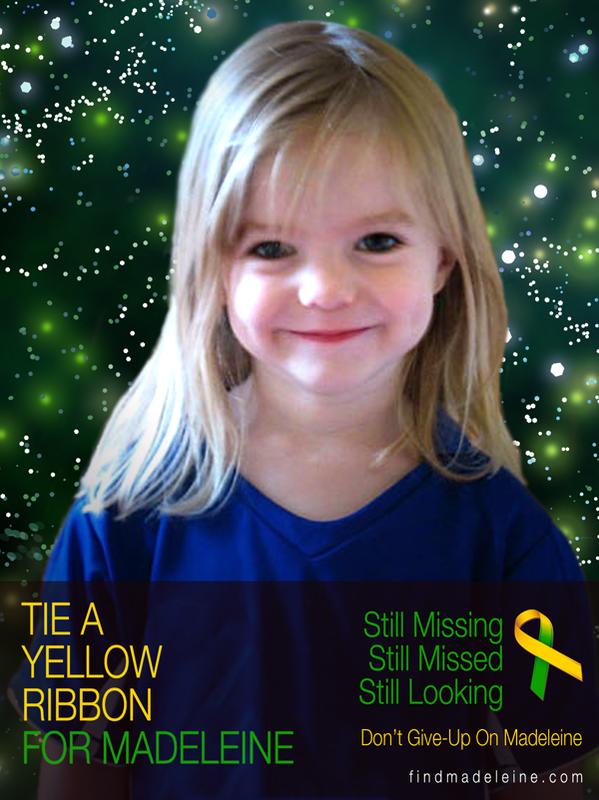 I dont think this child will be found anytime this year thats for sure, but thats my opinion. I feel if she is anywhere she could be around 10 from home, meaning route 10, 10 miles, 10 yards just a 10 here even a route but that is what I have 11 at the most. Frankly perhaps the message of the find card is - DONT FISH for answers?? It is possible she is connected to water and has been put in water at some point - I am seeing a lot of lies and people really are going to have to use their imagination to see through all of this. A most unusual and strange reading for me because I just see a 'retreat from society' here which does not indicate that people are going to continue to look for this girl and secondly as there are deceptions both in personal and business matters there are not a lot of clues to help either. Very awkward all round so I cannot give an indication of when she will found but not this year and also if there was anybody close to her who knows they are not likely to say a great deal that I can see right now. West appears to be on this card and I would venture to say SOUTH WEST which appears to be consistent throughout this tarot. I have not looked at a map but will try to do so eventually. I just want to tell you that I also get the message that says NO BABY - NO BABY??? so does that mean there is not a baby to find? As curious as this is, maybe she cant be found is because she was found. Go figure! yet she is still missing?? but yet I see closets or places where a person can be put, packing, luggage or places where one can sense the word STORE. Where one 'stores things? Sabrina would be a young woman now of 14 yrs. old. I see tarot talks about home/mother card. "If she is not with her real mother then,'the mother herself is an illusion, is she the child's mother at all"? This mother is not the birth mother. Tarot says,"the girl is connected 'up high','on a hill'. Connected to a judge or lawyer. I believe she is alive. 'we can't live without her, but "we can't live WITH HER". Sometimes difficult to live with a teenager. "breakdown of family circle" Her parents are or have separated, real parents or the fake parents. Tarot says NO BABY??? So no baby will be found, as she is a young woman now. Re STORE, she could be working at a store, or something is in store, yet to come. Thanks for doing this reading. I feel so bad for sweet little Sabrina. To me when I look at her picture I see a baby who was never loved. The poster above wrote some interesting suggestions and I can only hope that she is alive even though everything I've read makes it look like she is not. I feel she was placed in a container and put in the lake where she may never be found. Perhaps she was burned before hand. I think there was a lot of quarreling over this child. -"snuff-box, for the snuff intended for his nose almost always lodged upon it". So someone was sniffing around and was not going to give up , lodged upon it. -"judge was talking with the assistance"
-"A barefooted girl" barefoot and pregnant. -"stood holding a tray with cups at once side of them." Money was decided upon at once. -"At the end of the table"
-"mournful and monotonous", someone was whining a lot. -"I expressly tried to find out", said the judge, sipping his already cold tea from the cup". Investigators tried there best to find out. -cold tea from the cup, cold case- payoff. "how they manage to sing so well". Its very intriguing isn't it? It is very intriguing, I agree. You are amazing Empathy. Good stuff.! There's a lot more there, than what I have written. It is a start though. I have not read much about Sabrina and her family that have lost her. I wonder if her parents have something to do with the legal system."law"? Someone that knows more about the family could perhaps pick up more from the tarot and the stitchomancy readings than I have. -Autocrat: an absolute ruler, a ruler having unlimited power or authority. -The Deacon's Masterpiece strong and sound. This abduction of this child, has no holes, no leaks, therefore strong and sound. Brilliant, they called it a Masterpiece. "Hahnsum Kerridge"-Handsome Carraige, notice the sum. Someone has paid a lot of money for this child. The prices went up, like an auction. As you can see the numbers in this excerpt. -"nothing that keeps it's youth." Someone may be feeling like they are loosing her, control over her. She is growing up and nothing can stop that. You seem to be good at reading into the stitchomancy. I can't understand it at all but I am glad it's there and even more so when someone like you comes along and writes a good explanation about it. Perhaps you could look at other stitchomancy readings on this site and write what you think they mean as well? I have looked at Empathy's stichomancy readings for Kyron Horman and Miriam Makhniashvili also. It helps to know a bit about the case. Makes it a little easier to read into. Thank-you, and I will do my best. I must admit when I saw your web page, and knowing the truth I felt slightly cynical but thought I would read your impressions, and I have to say you are fairly close to the truth, as I can validate the tarot. When you have read the following I believe you will understand why. You mention fire,or heat /anger and aggression, the ‘mother’ is unstable, has a very short fuse and throws vicious temper tantrums. 'home is upside down'. Her home life has been very topsy turvy to say the least. Many homes and too many different people and places. 'South west' , she has a Costa Rica birth certificate. I see packing cases or luggage . After much moving around they settled down in the Midwest, then the biological parents went on national tv in 1997, They had to leave America for a while, and since 1997 their life has consisted of continual moves. this is a case of deception and lies? you think? anyone finds this girl its certain 'suicide' actually that button was pushed, I think it is called conspiracies to murder! we cant live without her but 'we cant live WITH HER' the ‘mother’ is aware that she has been ‘dobbed in’ and is on the run, in her twisted mind she still wants her but knows it means there is a strong chance she will be caught. Thank you for the effort you have made to help connect information to the Tarot. I know there is a lot of people asking for your help, I was wondering if you had a chance to ask tarot where Sabrina is again. or maybe a bit more stitchomancy. for her. I also had looked at and posted some of what I thought the stitchomancy meant, for Kyron Horman and Miriam M.
I was wondering if you could ask Tarot about Miriam Mackhniashvilli, even though she is supposed to have been found, and she is off your list, I think something stinks and am curious as to what tarot says.or stitch. I'm sure my spelling is off on her last name, I think it is Makhniashvili. It's not south but what about Alaska? Woods, water,seclusion.